“Just six years ago… co-founder Jack Dorsey published the very first public tweet to the world. But little did Dorsey know that the 24-character snippet of text would be just the beginning of a worldwide revolution,” reported International Business Times. And that’s exactly what Twitter has done. Throughout the unrest in the Middle East and even in our own backyard with the Occupy movement, Twitter was spitting out thousands (maybe even millions) of tweets informing citizens about what was going on, why, and how to get involved. While the micro-blogging platform has helped activists around the world organize, the real revolution–The Twitter Revolution–has only just begun…. The ability to dispatch information on a whim has come to represent much more than the ability to express one’s self. It has also given people the ability to share and exchange ideas at a faster rate than ever before. 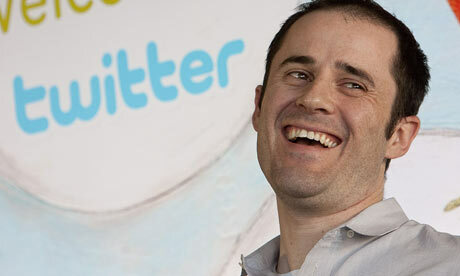 On Twitter’s sixth birthday, it’s evident that the infant company has already grown into a colossal force…. Not only will the revolution be tweeted, the revolution is tweeting. There is no doubt that Twitter will play a major role in the coming election year, as a campaign board for candidates and a discussion forum for citizens. Revolution, indeed.